I have always taken offense at the Jerusalem pine trees that one sees dotted all over the landscape here in Israel. I just could not understand why anybody would think that there is anything nice about this nasty tree. And in the hills around Jerusalem they have whole forests full of these things!! AND the Jerusalem pine is not even its correct name, it is actually called the Aleppo pine. People only started to call it the Jerusalem pine because there are so many of them in and around Jerusalem. But these ugly stuff are found just about all over Israel. Its biological name is Pinus halepensis. 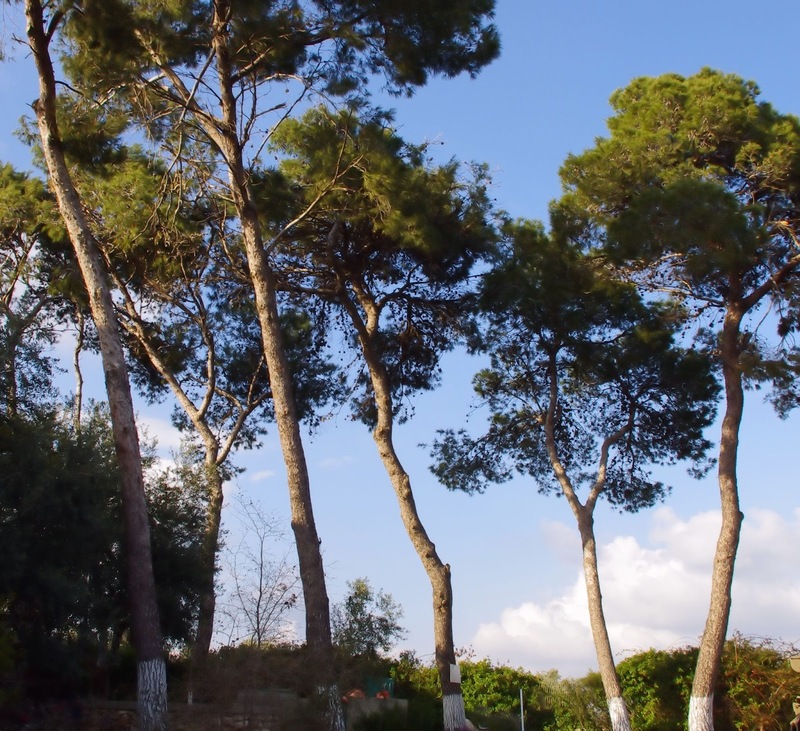 I live in the northern part of Israel and have met many of these Aleppo pine trees here too. The biggest strike against the Aleppo pine is of course that it is ...(gasp!) not even a native tree of Israel. 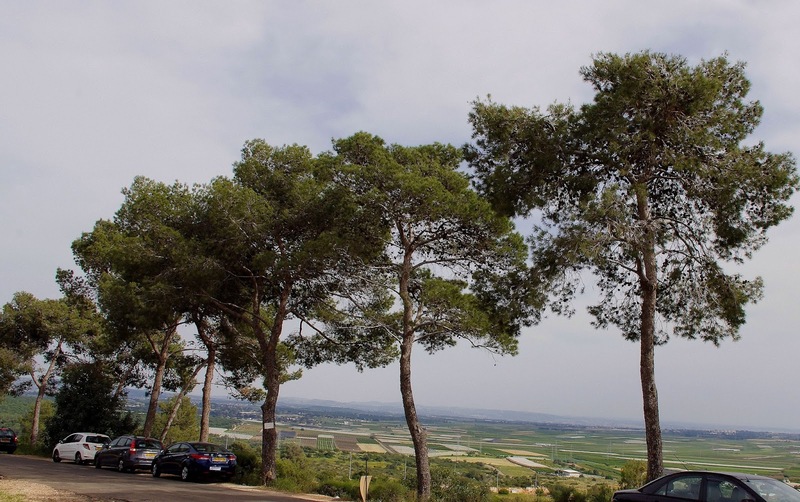 Apparently way back when the British had control of the Israel, they decided to re-forest the country with these hardy pine trees that basically do not need much water or looking after AND grow fast and they found all over in the Mediterranean area anyways. The Turks (just before the Brits) in all of their wisdom practically chopped down every tree that they could get their hands on to built a railway all the way to Mecca. So, enter the Jerusalem pine into Israel. And now Israel are basically filled with the Jerusalem pine wherever you look. As a matter of fact, they sort of have started to grow on me. Yeah, I know lovely pun. So they are scraggly and ugly looking but they also basically grow anywhere, can make do without much water and they seem to have this Zen-like quality about them. I cannot believe that I am writing this, but these ugly trees have started to look beautiful to me. One can probably make all kinds of metaphorical comparisons from this such as that you should not judge a tree by its bark. 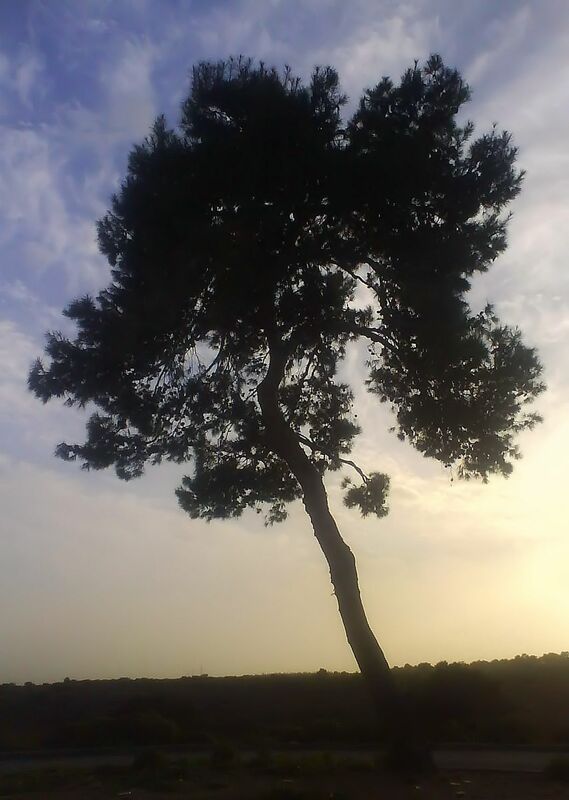 Or that the tough Jerusalem pine represents the tough and often rude Israeli's that somehow grows on you. This is about the ugly, scraggly Jerusalem pine that might not even have been a native, but have become part of the landscape. Here's to you, you ugly old thing - thanks for opening my eyes!